Oh...what have we started now. Do you notice this badge and a list on my sidebar. It all started with some comments on Kris's blog. Challenging eachother to finish up some WISP's (Work In Slow Progress or UFO's) I had already an agreement with Hanne and Stina to do the same. 1. Participants will try (we know life interferes sometimes!) to complete at least ONE craft project by the end of each month. This can be something you've had partly done for a while (a WISP!) or a pattern or a kit you bought ages ago that you finally get around to making. 2. You have to put up this badge on your blog (with a link back to mine or Kris's blog) and make a list of the monthly projects you have finished. If you don't have a blog that's OK, just email a photo back to us and we will show it on our blogs. 3. And of course send a photo back to me or Kris, and tell about it on your blog so that we can see what you have finished. Another good thing to do is to show us in the beginning of the month what you plan to do this month. But it is OK if you show a photo of one project in the beginning of the month and then finish another one (LOL) Because I know somethimes the inspiration takes other directions than we first have planned. And there will be prizes !! Kris and I will have a prize draw on the last day of each month. 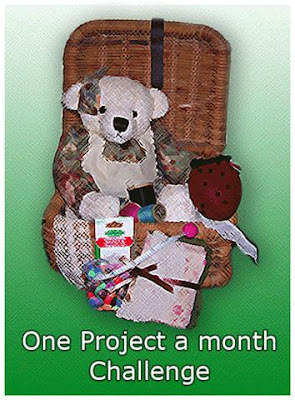 Everyone who has registered a completed project with us for THAT MONTH will go into the draw - if you've completed more than one project, you get an entry for EACH finish, so have more chances of winning some yummy gifties!! Kris and I will take it in turn to do the draw and provide the little prize so there'll be plenty of surprises and variety to keep us all motivated. Then, on Christmas Eve, we'll have a super-size prize draw where ALL of the entries will go back into the draw for a special prize drawing - but details of this will be worked out closer to the time. After all, it's January and December is a loooooong way off. Does this sounds complicated..........NOT AT ALL...........this is just for fun, and maybe a lot of finished WISPs/UFOs. If we finish one each months, means 12 finished project this year. Kris and I have just started to plan this and I guess there will be a lot of questions, so don't hesitate to ask if you wonder about anything. And please visit Kris to read what she has to tell you about this challenge. This is a very good idea, I am in ;-). Tell you what, I finished a binding last night, didn't make it in 2008 :-(, does that count? I agree!!! Totally NUTS!!! ;o) LOL.... but I agree on the fun part too!! Hei igjen, og godt år! Sjølvsagt blir eg med på dette, eg vil gjerne få til buttonen slik at den linkar direkte til deg, korleis gjer eg det? I am in. You will have a lot of work in the New Year, thank you so much. Hei Mai Britt.Denne vil jeg gjerne være med på. Skal nok klare å få et prosjekt til hver måned, spesielt siden innkjøpte ikke påstartede prosjekter kan telle. (De er det mange av *smile). I'm so glad you and Kris came up with this fabulous idea - what fun this is going to be!!! I'm sorting through my (many) WISPs and I'll let you know which one is on the top of the pile to get finished first!!! Thanks for the inspiration :o)!!! This is a great idea. I'm in. I would love to finsh up my WISP's! This sounds like fun. You can count me it! Jeg vil veldig gjerne delta!!! Tusen takk for at dere gjøre dette!!! I really need this motivation, so I'm in. I'm new to blogging however, so I don't know how to put things in the sidebar. Can anyone help me in downloading the Challenge icon? I'm in..I've got it on my blog already,...it fits right into my plan for 2009. Thanks for the motivation! Dear Girls, May and Kris. This is an incentive for us all, so I'm in. I'm in, too. Sounds like a winner of an idea. I have plenty of UFOs to choose from here. This is a great idea. May I join the club? I have a pile of things I want to finish this year and I know I can't do without some support. I often read your blog and enjoy it a lot, and I really liked the new challenge you and Kris have started. Of course I want to join in! It´s a good thing to try and do some of the oldies and some of the things I have in my idea-box. I look forward to this! Your blog is always real fun to read, a real pleasure. I love that idea, and I am so sorry I cannot join it. I have sooooo many ufos and unopened kits bought years ago, but when I should have to finish one of them in only a month, the pressure is to big for me (they are all so big with so much quilting and sewing to do at). But I LOVE LOVE LOVE to look if you and the others can do that. I cross my fingers for you all, that you get much done! And I cannot wait to see the finished projects. Even when I join it not, it will be a big motivation to work on my projects. Hej May Britt! Jag är med! Jag vet inte hur det har gått till men jag har en korg som är alldeles full med påbörjade projekt. Vilken bra utmaning, detta är precis vad jag behöver. Ska redan nu rota runt i lådan och se vad mitt första projekt blir. God fortsättning på detta härliga syår som ligger framför fötterna. What a good idea! I have to reduce all my UFO´s and WISP´s... ! I would like to join! I completed my first project yesterday with pictures on my blog. Thanks for starting this challenge Ladies - count me in!!! Just the inspiration I need to FINISH old projects as well as start new ones LOL. I've loaded the logo on my blog - I've finished my first project for this year (also on my blog - although I must admit, it was before I joined the challenge) - and now I'm off to check through my HUGE pile of WISPs!! Hi May Britt. I would love to join your challenge .... every bit of motiavation helps. It's a fabulous idea. I would love to join the 1 a month challenge. I want to make a dirty-santa lap quilt each month this year, so that I have one for all the adults at my family Christmas dinner. So, that will be what my projuct each month will be. Hi May Britt, add me to your list, the past January I was participate in similar challenge and I was very happy with my work finished. I add the logo in my blog. Regards from Chile. Count me in. I had already decided that I had to be working on a UFO (WISP) at all times (usually work on 2-3 projects so I don't get bored). Maybe this will help me to not only work on them but complete them, too. Great Idea! This sounds like a great way to get and stay motivated into finishing my many projects. I'd love to join! Not sure how to get the pic to my blog though.. Yes indeed. And I`m in! I like this challenge! And I've also been an insane person so you may put me on my list! Oh you gotta add me to your list too! I am so great at starting stuffs, but awful at finishing! who is about to go and work on her UFO list!!! I like WISP, sounds better than UFO. Please add me to the list. I have enough UFOs, WISPs and "old" patterns/kits, so this challenge will be a great way to keep the motivation. Now I have to find the first project. Thanks to both of you for the good idea! Count me in. I came by way of Cathi at Celtic Knots. Looking forward to project completions! Denne utfordringa er eg med på. Det blir den første eg deltek i, men det er akkurat eg treng for å få ferdig noko av det eg har liggande. Would love to be a part of the challenge :o) I was just posting the same thought for a challenge on my blog a few days ago. I have posted to let people know about this one. Good luck everyone! What a great idea! I have some lined up for me to finish this coming year. Happy New Year! My Britt what a very good idea from you to start this challange!!! I am only writing in Dutch so hard to read for you but the photo's will speak for them. Thanks for the motivation....I already had you in my favorites....but now I will have you on my blog. Hi, I'd love to be added to your list ! This is just what I need to challenge me to finish up some projects ! We are having a giveaway, please drop by my blog and enter! I have heard of you for quite a while, so decided to visit when I heard about yours and Kris's great challenge - I have signed up with Kris, now hope when I put the button on my sidebar it links to you, too! Sounds like a lot of fun and certainly motivational. Love your blog, too! Sounds great! I love to join in on this challenge. May Britt...fantastic idea I am working on my January Finish...thanks so much for doing the challenge..
Wow here is huge amount of people participating. I would like to join too. 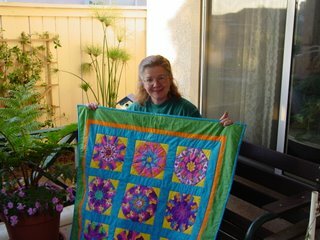 I'd love to join May Britt, I don't have a lot of WISPs, but want to do some smaller projects (patchwork pillows, wallhangings) are these okay for the monthly projeccts?? The other quilts on my list are long term ones!! Flott ide - morsom og passende ambisiøs. Så da melder jeg meg på og har allerede lagt ut omtale på bloggen min (www.bodilshobby.blogg.no.Da blir neste prosjekt å finne ut hva som skal være januar-ferdigstillings-prosjektet. Gleder meg! Ha en strålende dag! I would love to have a go at that too. I need to finish lots of UFO's so this will be a great chance to get some done. I need a challenge to get me going. Thanks for this. Sorry about the lack of email addy on my blog May. Fixed now! What a good Idea, I have a lot of UFO's and WIP's. You can count me in. Dette vil jeg gjerne være med på! Supert å få ferdig noe av det som blir liggende. Hei May Britt. Etter å ha tenkt "skal, skal ikke..." et par dager kna jeg ikke dy meg. Jeg vil også være med. Har ikke god nok oversikt over alt halvferdig akkurat nå, men regner med at jeg kan klare noe hver måned. Sender deg en mail med nødvendige opplysninger. I came by way of Hanne's blog and I think I want to try out this challenge. I've just become a stay at home mom (the baby is 11 weeks) and thinking about starting big projects is a bit daunting. if I stick to WISPs maybe I can stay positive and actually feel like i'm accomplishing something (or 12 somethings, hopefully). My mom and I are joining the challenge. My blog is quiltingbookworm.blogspot.com and my moms is country-chicken.blogspot.com. Her name is Jackie. We are both looking forward to this challenge! I have a lot of UFOs. I'm in! I would love to sign up to this challenge please. I am pretty sure that I can do one every month, maybe April will be an exception as I am having a baby at the end of March but I will try. I'm in....got lots of WIP's and UFO's and "hiding in the corner" projects! Then I'll move on to the ones hiding in the closet! I got the idea for this first from Colleen of Crazy about Primitive Quilts and now you. Sign me up, I'm going to try to be more productive in all areas of my life in 2009. Well - I am joining in, it was my new years resolution anyways...then I found your blog...so joining in and I am pleased to say finished one and half way through the second. photos will come once the item has been recieved by it's recipient. Thanks for the encouragement...here's to many finished ufo's this year. OOOO.... The adventcalendar - its great! I love it... It will be my dream for next Cristmas! Where can I buy pattern? Please!!!! your challenge is the best, that could ever happen to me to start the new year, that's why, I'd like to participate!I've just announced your idea on my blog, so, what else have I to do now? Hi, I want to join too! It is a great challenge! I'm with you May! This fits right in with my goal to complete two each month! So count me in - I just have to read over the rules and fix my blog and/or sidebar so I'm following along correctly. That may take a day or two. WISPing also - love it! Hi May Britt. I am in ! Sounds both fun and smart ! What a job you have created for yourselves. I hope you enjoy it since the year can seem veeerrrry long if not. I'm in. But I'm not very organized... one of my goals; or it should be. I'm working on a quilt I started in 1982! It will be done in January. Jeg vil gjerne være med på denne utfordringa.. Passer bra da jeg har mange prosjekter pågang..
Jeg har hatt ufo opptelling idag jeg May-Britt og det var ikke spesielt oppløftende. Så jeg melder meg på i håååp om at jeg får noe ferdig. Wow. This is a fantastic idea. I would be delighted to join in this challenge. I have just finished a stitchery and a cross stitch this year. I wonder how many projects will be brought out to finish off. I wonder if we could have a competition to guess how many will be the final total at the end of the year. Happy stitching. I have a weblog, that needs to be updated, so this will be an good thing for my blog to. It is in dutch now, but I will write in english if you want me to. I am writting from France ,and my english is not perfect at all...anyway !Your idea is wonderfull and I agree totally.I'ld to be with you as my cupboard cannot close anymore because of my project ...I don't know how to put the 'logo' on my blog ...I am a beginer with computer !Add me to the list and I'll try to give you a photo . Thank you for the genious idea.I'm so happy to write to you, I love your country so much. See you soon ! This is a fantastic idea. I would be delighted to join in this challenge. Use the Translator Online for the Portuguese and I want to participate. I write of Brazil. I am starting my Blog. I am so in on this! One of my goals this year is to bust stash and finish UFO's!! Hello!!! 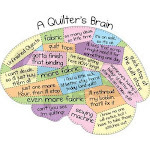 I am a little new to this blogging stuff, but do love to quilt and stitch when time allows. Could you add me to your challenge. Thank you. Hi May Britt! I'm in. I've started Bonnie's new mystery quilt but in between steps I'm going to work on UFOs ad WISPs. Hello May Britt,I came by way of Carrie at a passion for appliq. 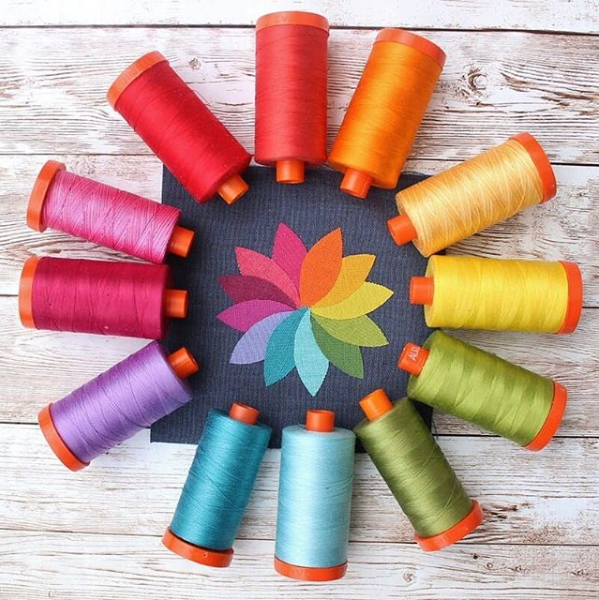 I would like to try this challenege, I'm farely new to blogging and i haven't done any sewing in a long time and haven't made any quilts but would like this year to be the year to give it a try and this challenege seams like a great way to start. Does it have to be quilts or can I start with small projects like bags. Oh boy! I'm going to take the leap and join in with all of you crazies! It really is a great idea to get all those projects finished and I'm really, really going to try and not start a new project..........yet!! Thanks for this great idea - add me to your list please and I'll be in Maine sewing away this year!! What a wonderful Idea, I have visited you from Joannes patch of heaven. I am not a quilter as such, but I have started a project this month and I am making bunting for my sons birthday, if I can be included I would be very grateful, but understand if its just for quilters. I want to finish the my UFO's. I would love to be included in this challenge. Nothing like starting the new year gettind wisp's finished. I like to join the challenge and I will try to do my best to complete one quilt(more is better) per month. Hi, found through pink feather paradise blog, I'd like to join in, I've got loads of WISP's so hopefully this will motivate me to finish them! May I join to your 2009 challange? I would have to 'kill' some UFOs! Count me in!! I can't wait to get started. 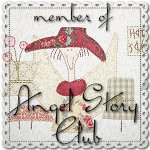 I've posted on my blog but am having trouble putting the logo in my sidebar...HELP please!! I don't want to miss out! I have a finish! I made a carry all tote for my guild's ugly fabric challenge. The fabric was given out at our September meeting. I'll post the badge as well. Could you tell me the e-mail address where I post finished projects? I'm not sure if I post to your blog or send to an email address. I want to join in this challenge. The first month was successful, hope it will go on this way. Hej, jag kom på hur jag skulle göra för att e-mailadressen skulle synas. Hoppas att det fungerar nu. Men tack i alla fall!!! i just put up the graphic on my blog! hope this challenge will inspire me more to achieve my target to finish 1 project per month! 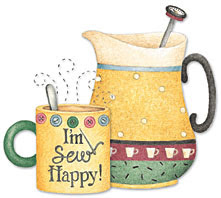 happy crafting & sewing everyone!